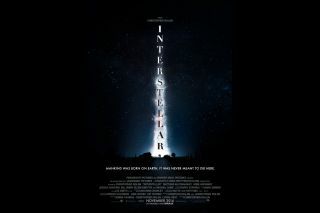 A new book set for release just after the movie "Interstellar" premieres in November promises to take fans of the film behind the scenes, delving into the details of one of the most anticipated movies of 2014. The book, called "Interstellar: Beyond Time and Space: Inside Christopher Nolan's Sci-Fi Epic," is scheduled for release on November 11, four days after the film's November 7 premiere date. The book is expected to show readers sketches, storyboards, photos and other art from "Interstellar." It will also include interviews with the director, Nolan, and stars Matthew McConaughey and Anne Hathaway. "Interstellar" is partially based on the theories of Kip Thorne, a California Institute of Technology astrophysicist. Although the film's plot has remained heavily under wraps, some details of the film are revealed through a teaser trailer and description. The movie takes place in a future Earth where NASA has been mostly disbanded. A group of explorers needs to use a wormhole to travel interstellar distances. More details about the film should come to light once the full trailer is released nationwide on May 16. At the moment, the 2 minute 54 second trailer is playing at the Smithsonian's Air & Space Museum in Washington D.C., but it will play before showings of "Godzilla" starting on May 16. You can pre-order "Interstellar: Beyond Time and Space: Inside Christopher Nolan's Sci-Fi Epic" by Mark Cotta Vaz, currently priced at $37.59, via Amazon.com.